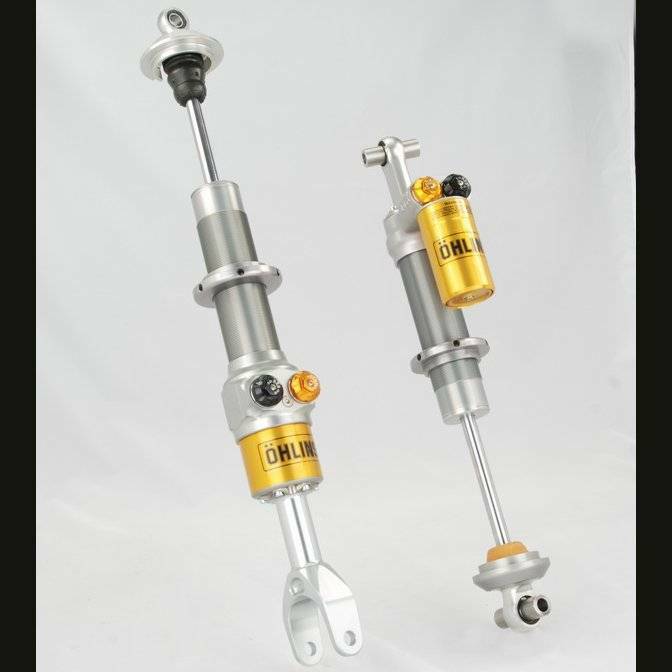 This suspension system is built using Ohlins ILX36 dampers which are based upon the tremendously successful TTX40 damper design that captured top results in the LeMans, ChampCar, WTCC and more racing series. The damper features a twin tube design providing positive pressure build-up and has proven itself far superior to conventional techniques used in other racing dampers. Low internal friction, vast adjustment range and responsiveness even at the smallest strokes are amongst it's best characteristics. The Ohlins TTX range of shocks require very low gas pressure which considerably improves grip without any loss of damping performance.